Additional news has come to light regarding powered morcellators, a medical device that has been linked to spreading undetected cancer in some women. According to a recent article in the Wall Street Journal, gynecologists are actually changing their practices when it to comes to hysterectomies and the use of morcellators in performing those procedures. A morcellator is a surgical instrument that doctors use in laparoscopic (minimally invasive) surgeries, including hysterectomies and myomectomies (removal of uterine fibroids, or noncancerous growths). The doctor will make an insertion into the abdomen down to the uterus and insert the device inside the body. The blade then slices up, or morcellates, the specified body tissue into small pieces. The sliced tissue (uterus or fibroid) is then removed from the body. 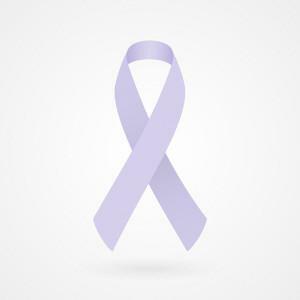 In April and November of 2014, the FDA released warnings regarding the use of morcellators, stating that the use of the device is connected with the spread of unsuspected cancer, most commonly uterine sarcomas. However, even after the warnings, surgeons have still been using the device. On the other hand, I did recently mention how UnitedHealthcare will soon start requiring authorization for most hysterectomies prior to surgery. The WSJ mentioned in a previous article that this authorization may lead doctors to perform the recommended procedure for hysterectomies—vaginal surgery. According to the WSJ article, a new study conducted by researchers at Yale University shows that there is a renovation in how gynecologists are performing hysterectomies. The study shows that 84% of gynecologists who regularly performed minimally invasive surgeries, along with large U.S. teaching hospitals, switched methods after the FDA warning. The study also indicates that doctors are now choosing a “mini-laparotomy” over laparoscopic surgeries using a morcellator. A mini-laparotomy is when the uterus is removed through a small incision, 1.5 to 3 inches, just above the pubic bone. This is larger than the 0.5 to 0.75 inch incision used in surgeries with a morcellator. For reference, a traditional abdominal hysterectomy has an incision of 5 to 7 inches. Hysterectomies performed with a morcellator have been preferred because they are minimally invasive and allow for a much shorter and easier recovery period. Open hysterectomies require longer hospital stays, and of course have their own possible complications. However, many hospitals have banned the use of morcellators because of cancer risks. If you, or someone you know, has undergone a myomectomy (removal of fibroids) or hysterectomy (removal of the uterus) and were diagnosed with sarcoma or other uterine cancer after undergoing surgery, please contact McDivitt Law Firm right away for a free case evaluation.